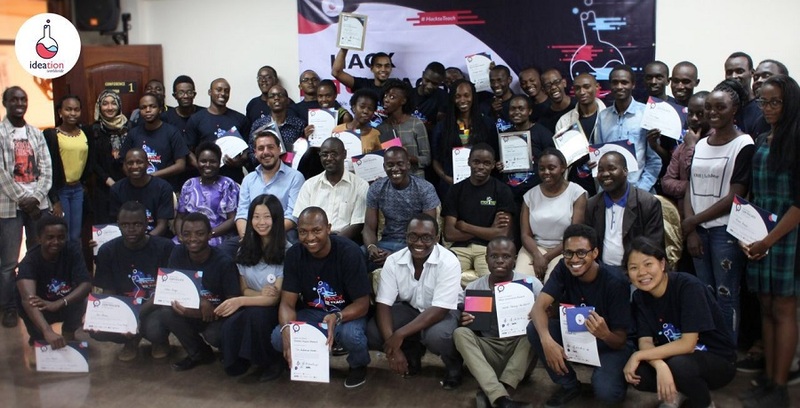 Four Kenyan startups won a total of KES60,000 (US$580) at the first ed-tech mobile hackathon hosted by San Francisco-based innovation lab Ideation Worldwide in Nairobi last week, with the startups awarded for their prototypes tackling the challenges of scaling community teacher training. The Hack to Teach 2017 hackathon aimed to innovate towards improving the informal educational sector in Kenya; with 14 teams from Nairobi and Mombasa participating in the event. During the three-day hackathon, teams were asked to build an Android app for untrained teachers working in schools in slum areas. The hackers were given field data, and were able to talk to real-life users – informal school teachers – to help ensure their prototypes were relevant. Team Uni-Informal, Mayne Dev, HTTP and Elimu Kasi were awarded a total of KES60,000 (US$580), and were recognised as Most Innovative, Best Product, Global Impact, and Excellent Engineering, respectively. Their prototypes include an inter-school course information sharing platform, an M-PESA service for teachers to streamline registration and loan repayment process, and a SMS-based platform for small regular savings. “Teaching requires as much expertise as any other professional field – if not more. For the five million underprivileged Kenyan children taught by thousands of untrained and unqualified teachers, this is our first step to change the status quo,” said Joany Huang, programme director of Ideation Worldwide. Experts from key tech and education stakeholders – including the Ministry of ICT, University of Nairobi, BRCK Education, e-Limu, and IBM Research, among others – supported the participants throughout the problem-solving process. “Technology is creating opportunities for the participants to learn from each other and solve real world challenges together,” said Simon Kavisi, deputy chief executive officer (CEO) of the Teachers Service Commission (TSC). “I think it’s a really big plus for this particular hackathon to identify real challenges so clearly,” said Victor Kyalo, principal secretary of ICT and Innovation at the Ministry of Information, Communications and Technology.